Welcome to the future of convenience! Automated messaging serves a purpose in modern society but when was the last time an automated message upsold you on additional services? …satisfied your very specific needs? …or didn’t make you press “0” repeatedly, hoping to speak to a live person? According to one article by the Huffington Post, an astounding 90% of people would still rather interact with a live person as opposed to a chat bot or automated messaging. 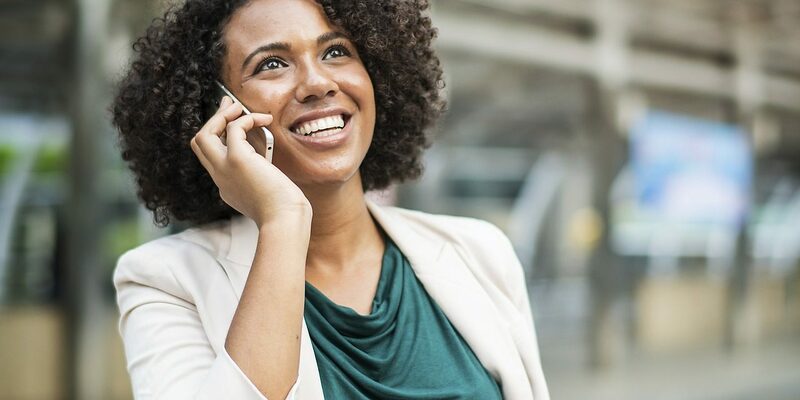 Of those that are fine with automated channels, according to Consumer Reports, nearly 86% of callers would still like to be able to speak with an actual human being satisfactorily before ending the call. Having a virtual assistant can still add the human touch your customers want. DELAYED GRATIFICATION: In today’s world, we expect instant satisfaction. If a customer calls in with a problem, or an emergency, they have no certainty of when or if their message will be heard and receive a response. With the live agents at Edwards Answering Service, each technician is trained to provide additional assistance and basic direction for each of your clients on a 24/7 basis. TECHNICAL ERROR: Most people still place their confidence in explaining their needs or dilemmas to live operator as opposed to a machine or bot. A person can quickly respond to and field calls based upon urgency, often directing them to an emergency line such as your cell phone. RESPONSE TIME: If you are waiting to hear back from certain prospects and would like to keep all communication channels open, a live Edwards Answering Service Agent can help ensure they are quickly patched to you if need be. If you are unavailable, the service technician can also assist them to prevent them from going to another business who might be able to meet their needs more quickly. TIME IS MONEY: While waiting for a return call, consider how many of your customers and prospects are shopping for other service providers. Additionally, a live answering service operator can upsell additional products and services to your clients and prospective customers in the time it takes for you to respond to them. By using an agency like Edwards Answering Service, time isn’t wasted, it is optimized for the continued success of your business. HUMAN ERROR: A great rule of sales is: Don’t ask people what they want, tell them what they need. Henry Ford famously quipped “If I had asked people what they wanted, they would have said faster horses.” That is still true today. Many of the times, people don’t understand what they need to resolve their problems. They only know what their problem is. A live answering service agent can assist your clients with finding the root source of the issue and assist them with taking the first steps in resolving it. Which in turn, saves you money by having to hire additional administrative assistants and more time allowing your experts to turn customer woes into prosperous solutions. However there are certain times when automated messaging systems make the most sense. We offer a variety of options and customization’s to automate your phone system as well. If you’re looking for the best virtual assistant companies, you should give us a call. So why wait? Call Edwards Answering Service today for a free quote and a free 7-day trial offer.